I cannot wait to bring Madeleine CaiQun home. We are so close, and yet there are days when I feel like we will never get there. But at the same time, I anticipate that with her arrival, there will be a lot of changes to my life, and not all of them will be – in and of themselves – welcome. If there’s one thing I think I’ve been learning over the course of this last year or so, it’s that I can’t do everything – or at least I can’t do it all well. I expect that adding Madeleine CaiQun to our family is going to be intense. Adding any child to a family brings about significant changes, but I believe that is especially true when that child is brought in through adoption. All children who are adopted have been through trauma, and with that comes the need for specific parenting strategies, intensive parenting strategies, a lot of time, a lot of diligence and consistency, and a lot of love demonstrated over and over and over again. I believe God has called us to adopt, and I believe He has given me a passion for adoption, and I believe He is bringing Madeleine CaiQun into our family and that it will be good for each one of us – but I don’t think that means it will be easy for any of us. I have been anticipating the changes that will be coming up in my life and rejoicing at many of them but, truth be told, also mourning over others. I love nights out with friends like tonight. I love counseling, and I’m so excited to see more people in our church interested in it and wanting to be part of having more of a counseling ministry at our church…and yet I also feel a twinge of sadness every time I talk with someone about it, because I know that my involvement for the foreseeable future will be minimal at best, and it is something I enjoy and am passionate about. I am absolutely an introvert but also highly relational. I am so encouraged by my interactions with other people around me. I love the give-and-take, the sharing of knowledge and experience, the working through questions together, the fun of shared lives, and the depth of shared struggles and joys. I treasure date nights with my husband. I look forward to coffee dates and dinners with friends. I love inviting people over for a morning or evening to sit and chat while Miranda plays and weaves her way in and out of our conversations. And I know that all of that is going to change. Date nights will be put on hold for a time. The dynamics of friendships will shift, hopefully to be stretched and not broken, but there are no guarantees. I don’t honestly know how to play out my part in all of that and do it well, so I can hardly expect anyone else to know how they should proceed, either – but it’s coming (and in ways is already here), so go forward I must. I like to sleep – uninterrupted. I like time to check out my Facebook news feed. I like to exercise. I like to sit and read books. I like to blog. I like my house to be clean. All of those things could be less than one month away from completely flying out the window (to the extent, of course, that any of them actually occur now). Every time we make a choice, choose a path, we’re inevitably choosing not to go in so many other directions. I’m oh so thankful that we are on this path. We get to add an absolutely beautiful little girl into our family. I get to be a mommy to another precious soul. I will get to brush her hair and kiss her owies and give her a bedtime kiss every night. I will get to hold her when she cries, when she is scared, and when she rages. I will get to teach her what it means to love and to trust. I will get to tickle her and read books with her and teach her to bake. I will get to laugh with her and cry with her. It will be beautiful. But it will also be hard. There is so much I will miss out on, and I mourn the loss of that while at the same time being grateful for it. I cannot be or do everything – but I can do something, and whatever I do, I want it to be something that matters. I believe with every fiber of my being that adopting Madeleine CaiQun matters and is the right thing to do. 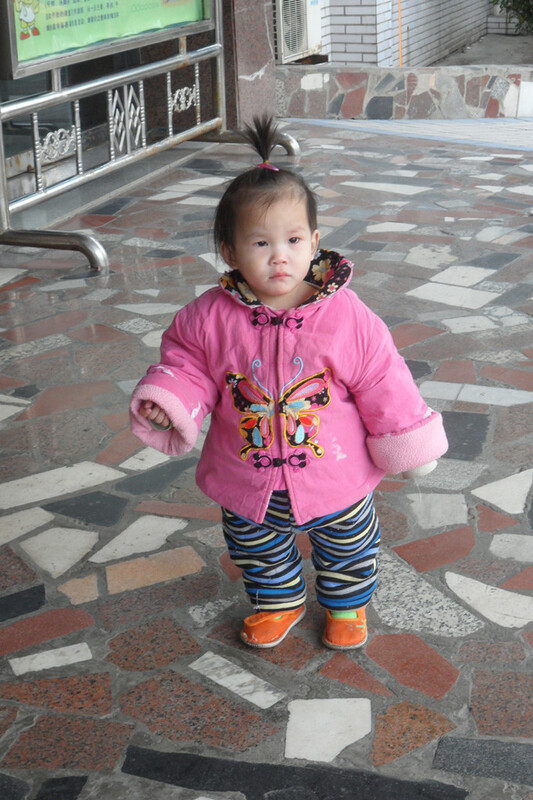 There should not be millions of orphans in our world today. God cares about those children who – like my little daughter-to-be – are without parents, and I should care about them, too. Adopting her and being her mother forever is what I believe I am called to do and what I am so excited to do. In doing it, I know I will have to make sacrifices, and sometimes I expect that to hurt, but I’m also pretty confident that it will be worth it every time. I can’t wait to come and get you, my little Madeleine CaiQun. Both of our lives are going to be experiencing some major changes very soon. Even when we’re overwhelmed or scared or aren’t sure how this adventure is all going to work out, I believe that it’s going to be amazing and beautiful and good for all of us. I hope this next month until we can come to get you flies by. “I cannot be or do everything – but I can do something, and whatever I do, I want it to be something that matters.” Alison, I LOVE THIS! Beautiful post and I feel like you are reading my mind with some of this. Madeline is so loved. Hard to believe you are only a month away!! Hang in there.